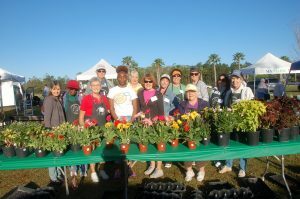 Over the years many members of the Garden Club at Palm Coast have propagated thousands of plant to sell at events to raise funds for the Club’s Scholarship Program. As a result, the Propagation Guild (PG) was formally established in 2015. The PG is a designated group of GCPC members who focus on the education and application of horticulturally sound propagation techniques, sharing “best practices”, as well as propagating and selling plants. It is a Standing Committee of the Club. Its primary mission is to advocate propagation and to educate its members as well as the GCPC membership. Members share their knowledge at monthly meetings during the horticulture section and provide plants for the plant sale. As a secondary mission, the Propagation Guild acts as a fund raising group for the GCPC through plant sales. Although the PG is self-sustaining, it operates in accordance with all Club By-Laws, policies and procedures. Meetings are held the first Wednesday of the month year-round at members’ homes to learn techniques to create new plants. Meetings during the summer months are usually day trips to local botanical gardens and nurseries. 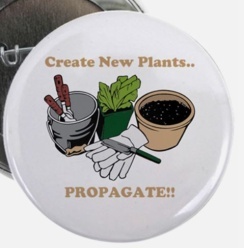 All GCPC members are invited and encouraged to join the Propagation Guild. There are no dues.